Of all the bands involved in Britain’s goth rock movement of the 1980s, Fields of the Nephilim were the most believable. The group’s cryptic, occult-inspired songs were sung in a guttural roar by vocalist Carl McCoy. Live appearances were shrouded with dim light and smoke machines, while bandmembers stalked the stage in black desperado gear inspired by western dress. The group was also one of the longest lived of the original goth rock groups, finally breaking up in 1991 when McCoy left for another project. Burning the FieldsFields of the Nephilim formed in 1984, in Stevenage, Hertfordshire, with an original lineup of McCoy, guitarist Paul Wright, his brother Nod on drums, saxophonist Gary Whisker, and bassist Tony Pettitt. The quintet played many live shows and released the EP Burning the Fields in late 1984. Whisker then left the band, just as Peter Yates was added as a second guitarist. Beggar’s Banquet, also the home of goth rockers Southern Death Cult and Bauhaus, signed the Nephilim and released the singles “Power” and “Preacher Man” in 1986. Both did well on the independent charts; “Preacher Man” made it to number two, increasing the expectation for debut album Dawnrazor, which appeared in 1987. 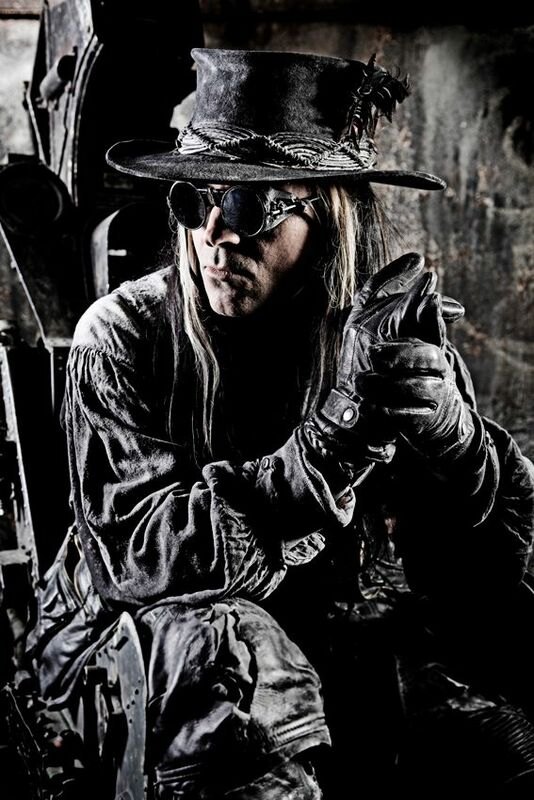 The album also did well on the indie charts, but later that year Fields of the Nephilim finally cracked the pop singles chart with “Blue Water.” In June 1988, second album The Nephilim reached number 12 in the pop charts, while the single “Moonchild” made number 28. A live video titled Forever Remain was also released in 1988. The May 1989 single “Psychonaut” also cracked the Top 40, but the resulting Elizium (1990) proved to be the group’s last studio effort. The live double album Earth Inferno was also released in 1990, and the singles “For Her Light” and “Sumerland (Dreamed)” both charted, but Carl McCoy left the band — and took the name with him — in October 1991. Remaining members Yates, Pettitt, and the Wright brothers added vocalist Alan Delaney and released What Starts, Ends (1992) as Rubicon; McCoy formed Nefilim, and began releasing material, including the 1996 album Zoon. Beggar’s Banquet issued a two-disc retrospective in 1994 titled Revelations. Nothing was heard from the band until 2002 when Fallen appeared. Although the album looked new, it was a collection of outtakes released without the permission of the band. They truly returned in 2006 with Mourning Sun, and played live often during the 2000s and 2010s. Studio recording took place during 2014, and the band shared a pair of singles — “Earthbound” and “Prophecy” — for an album with the working title The Darkness Before Dawn.